I didn’t mean for this outfit to be entirely Zara, but what can ya do. I recently picked up this coat as I tried it on in store and did the whole ‘do I need it, do I not need it?’ debate for about a week before I just ordered the bloody thing. It’s the perfect balance of oversized belted coat and dressing gown which my boyfriend never fails to point out. Obviously I’m taking that as a good thing. This will also be my last outfit post with my fringe. Yes, after 8 years, my fringe (or bangs, for you Americans) and I will be parting ways. I do love it, but the maintenance is starting to grate on me a little. You know, the having to cut it every couple of weeks plus washing it every other day otherwise it looks like a hot mess. That. So bored of it. 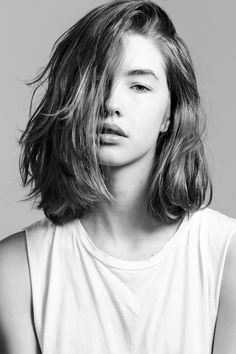 So, I’m going to opting for a low-maintenance kinda look, maybe like this or this, but for now my forehead is firmly out and I’m feeling quite paranoid about it! How ridiculous. I desperately need it to grow as quick as possible though so I can get the blonde put back in once I figure out a parting! Yes, my life is so difficult.. Anyway, it’s FriYAY. I have one afternoon of work stress before having a proper blogging weekend because I have approximately 10,000 pictures to take! Oh and check out my brand new beauty blog sale.